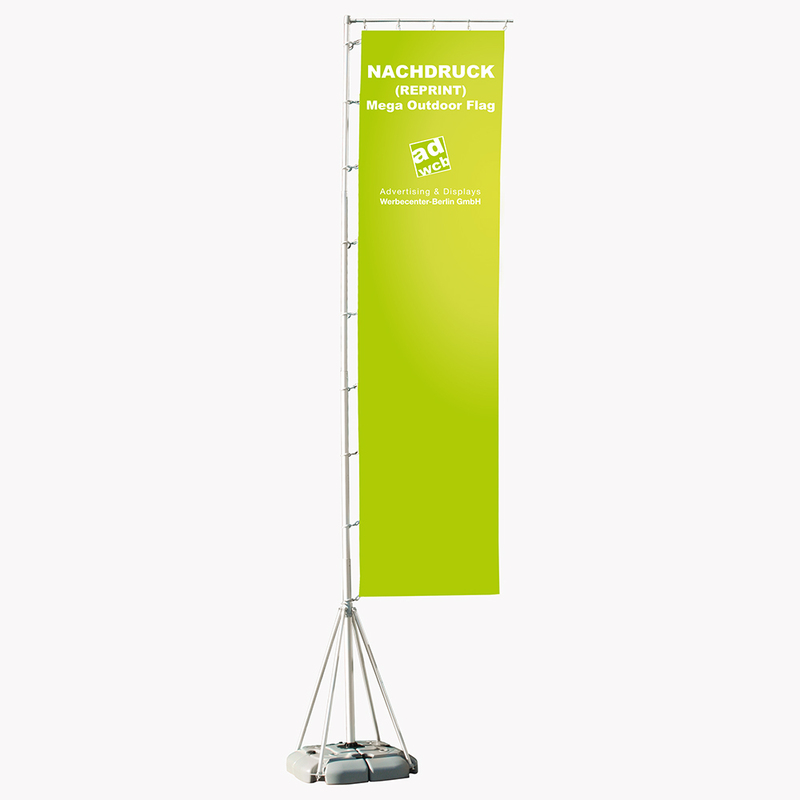 The reprint for your "Mega Outdoor Flag" will be printed according to your artwork. Also as with your system purchased from us, the printed flag fabric will be delivered completely ready to use. 100x400cm For details please see our fact sheet. 4/0 CMYK sublimation print (file resolution max. 150dpi). The flag fabric is printed on one side. Your motif is visible mirror inverted on the backside. To create your data file correctly, you will find a PDF template at the point "Print data".